I am currently working on creating a sales pipeline management dashboard. I have all the data in place and now I am looking for some visualization to create the dashboard. 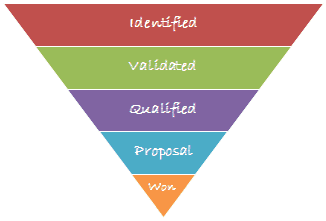 One of the charts that I absolutely want in there is a sales funnel chart. In the end, there is only a handful of deals that are either won or lost. Now let’s recreate this in Sales Funnel Chart Template in Excel. Arrange the data. I use the same dataset, as shown above, but have inserted an additional column between sales stage and deal value columns. 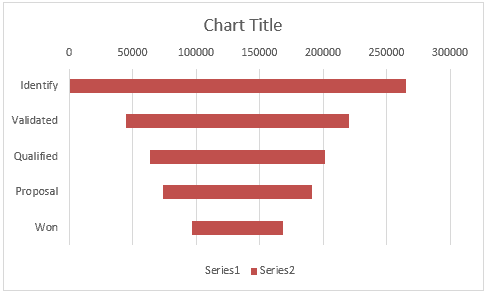 Select the data (A2:C6), and go to Insert –> Charts –> Insert Bar Chart –> Stacked Bar. Select the vertical axis and press Control +1 (or right click and select Format Axis). 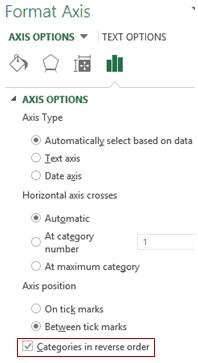 In the Format Axis pane, within Axis Options, select categories in reverse order. This would reverse the order of the chart so that you have the ‘Identified’ stage bar at the top. That’s all right Sumit. But where is the Dashboard? I am working on it, and soon as I am done with it, I will share it with you all. 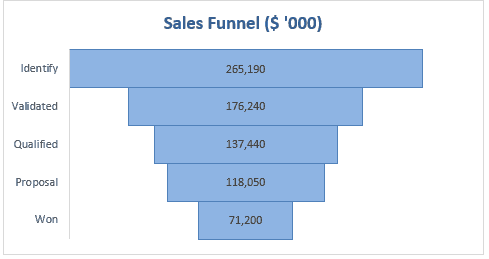 For now, here is a glimpse of how I plan to use this sales funnel chart in the sales pipeline management dashboard. I am really excited as it is the first time I will share a full-fledged dashboard on my blog. If you would like to see more of Excel dashboard tutorials on this blog, give me a shout-out in the comments section. Also, if you think there are any visualizations that would look cool in the sales pipeline dashboard, just drop me a note or leave your thoughts in the comments section. 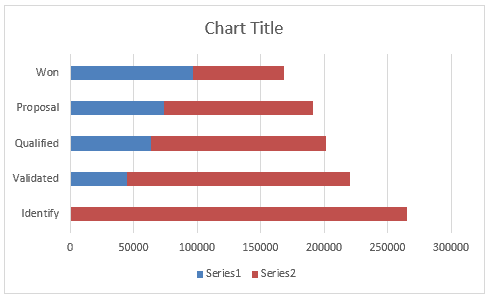 Creating a simple and dynamic Pareto Chart in Excel. Creating Bullet Charts in Excel. Creating Waffle Charts in Excel. 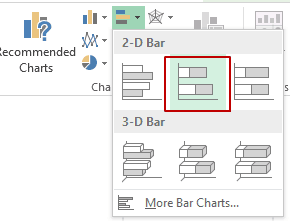 Advanced Charting in Excel – Examples. Great tutorial, and Are you done with the Dashboard thing? 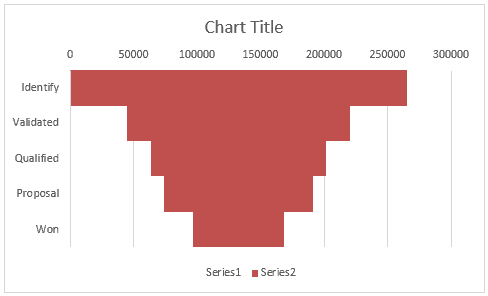 Can you do this with a pivot table/chart? Great tool you’ve created – visualizing the sales funnel is so important. Good technique , I liked that. ! Thanks for sharing! Did you upload the tutorial for the dashboard? Good technique. Thanks for sharing.